This recipe is a childhood recipe. I learned it from my mom and I think she learned it from hers. we lovingly call it “Гренки” (Grenki). 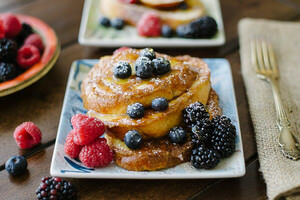 I hardly find an excuse to prep french toast overnight. It can be cooked just as well whipped up from scratch, regardless of the state your bread is in. 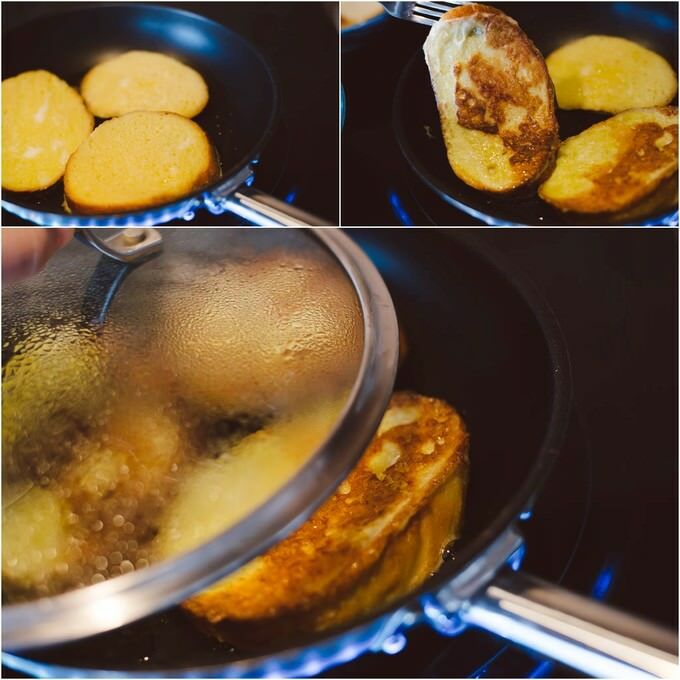 Soak the slices of bread in enough liquid, cover the lid of the skillet and voila, you have yourself a tender, fluffy french toast. Also, there are different variations of the egg base that goes along with the toast. Once you’ve mastered this basic recipe, play around with it and see if you want to take it to another level by adding different ingredients. 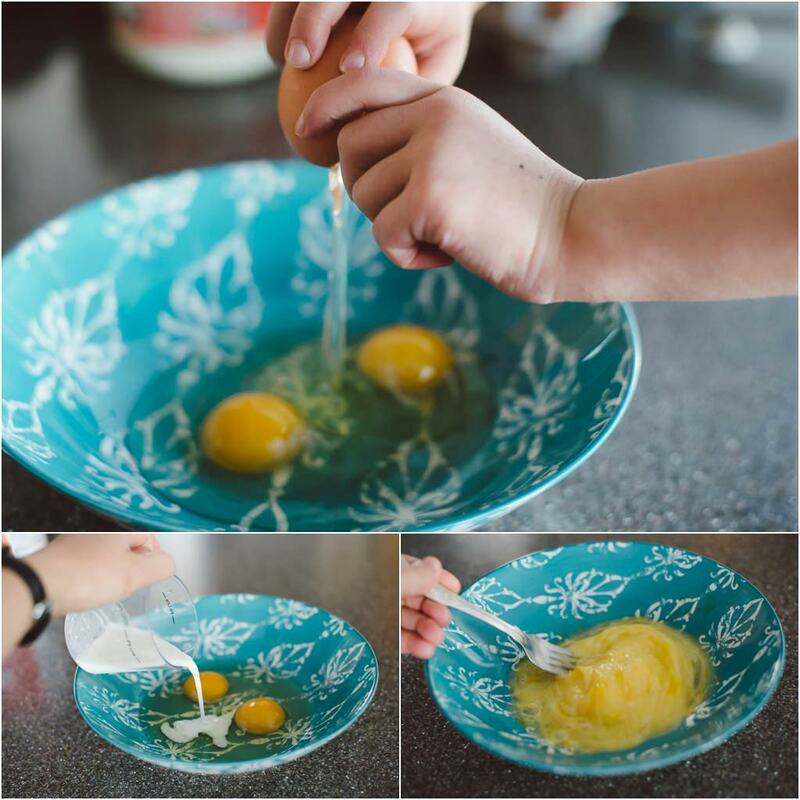 Break the eggs in a medium bowl, which can accommodate the size of the bread slices. Add 2 TBSP of milk and whisk the mixture. Add the salt and mix it in. Heat the skillet in Medium heat, drop the butter or clarified butter. 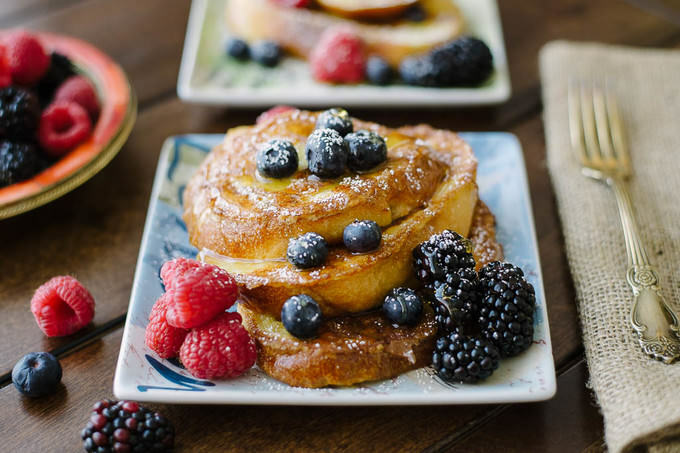 While it is melting, gather all your french toast details in one place. Dip the slices of the bread in the egg mixture, making sure both sides have an adequate amount of it. Slowly release the soaked slices into the skillet. Turn the heat down a notch and cover the skillet with a lid. 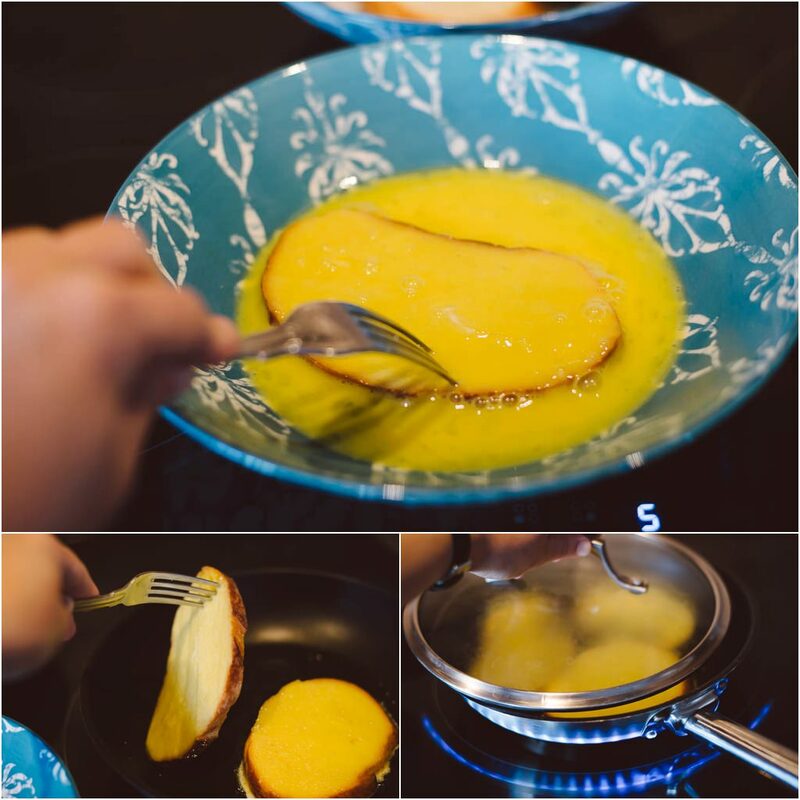 This step is essential in having soaked up egg mixture to cook properly within the slices of the bread. Cook for about a minute. Flip the toast to the other side and cover the lid once again, cooking for another minute. I am using a relatively small skillet. If you have a bigger skillet, by all means, cook everything in one go. Otherwise, the amount of butter added should be enough for the second batch, too. 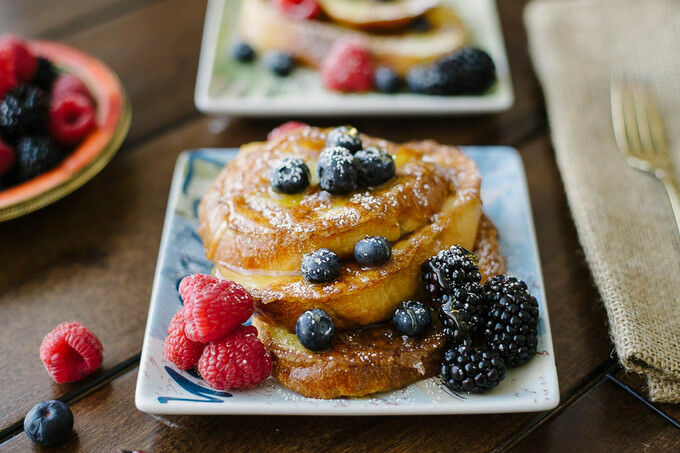 You can serve this french toast with fruits, whipped cream, condensed milk, honey, maple syrup, you name it! My kids enjoy it with a dollop of jam. The sky is the limit! Let me know if you need any help or if you need any cooking tips. I am right around the corner! Break the eggs in a medium bowl, which can accommodate the size of the bread slices. Add 2 TBSP of milk and whisk the mixture. Add the salt and mix it in. Flip the toast to the other side and cover the lid once again, cooking for another minute.